A single email newsletter won’t make a sale for your business, as one text message won’t convince your crush to go on a date with you. Just like dating, you have to be strategic and start with a catchy first message, introduce yourself properly. After you finish the nurturing, you can invite your crush out. According to Martech Zone, open rates for drip campaigns are about 80% higher than single send emails. While lead nurturing emails get 4-10 times the response rates compared to mass email blasts. A bit of commitment is required here, let’s dig in. An email drip campaign is a triggered sequence of automated emails sent on a predefined schedule to targeted email subscribers to achieve a specific result. The automated and triggered email campaign enables you to personalize messages to your subscribers on a large scale, based on an action. Let’s say a website visitor fills a contact form to receive a free PDF from you. Once they click on submit, a personalized automated email with the promised document is sent to the subscriber. Even though these are automated emails, they can be personalized with your contacts’ name, company info, customer behavior, and more. Think of drip campaign as linear email sequence, where you send the personalized pre-written set of messages to leads, customers or prospects over time. Let me walk you step-by-step through setting up your email marketing drip sequence. Drip email campaigns are about delivering the right message to the right audience. Having a clear objective is an essential step to any marketing strategy, email marketing drip campaigns are no exception. Set up your drip campaign trigger by selecting one of these options in Automizy. Triggers allow you to fire an automation and apply actions to your subscribers. Triggers are a great tool for follow-ups to previous engagements from your target group and help you achieve your pre-defined drip campaign goals. Now that you’ve triggered your drip emails when to be sent, you have to craft your emails’ content and set up your workflow. You can add your drip emails into Automizy real quick with a couple of clicks. 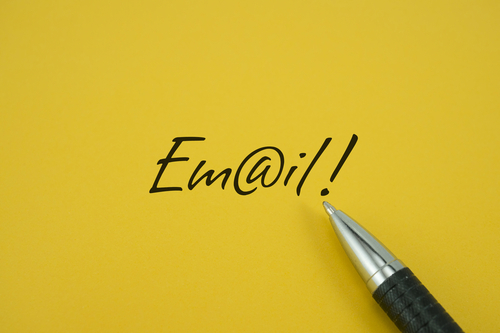 Make sure that your emails are coherent and consistent so you reach your drips’ full potential. When creating your drip campaign workflow use contact tagging so you can segment your contacts. It’s true that your automated email drip campaign is on autopilot but that never means that you set it once and you completely forget about it. To keep track of your data, check Automizy’s drip campaign KPIs overview. Having a clear overview of the performance of each email of your drip campaign enables you to optimize the campaign. Tweak your email content or AB test some different subject lines. It is best to evaluate your ongoing drip campaign on a weekly basis and adjust it to reach the full potential. The best way to be inspired is to see examples. Let’s dive in. 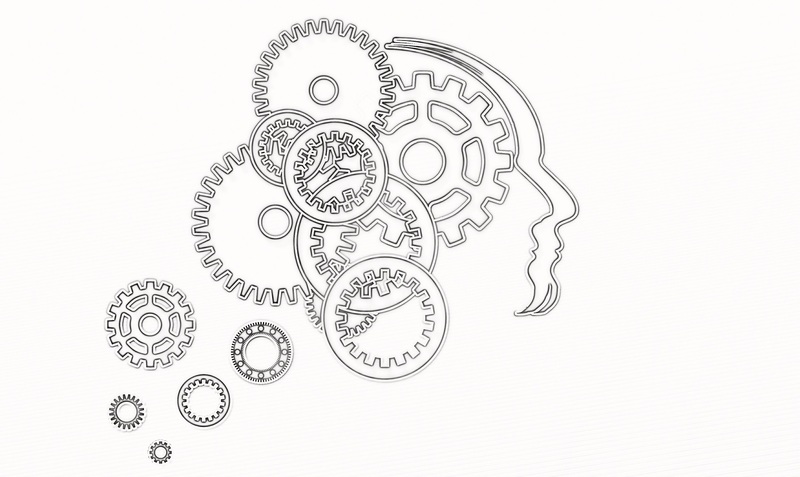 Defining your email marketing automation KPIs are a must when designing drip email campaigns. Here are 7 email metrics that you should take into consideration when defining KPIs for your email marketing campaign. No matter what type of business you are in, your ultimate goal is to generate more leads and sales. Then why knowing every lead’s value is very important? It would help you understand how much money you have to spend to acquire new leads or users. If you have a clear overview of the value and costs of your leads in a drip campaign, you can understand which are the drip campaigns that deserve more traffic. Lastly, it helps you in planning your budget and go with the lowest lead generation and user acquisition costs. When launching email drip campaigns, we recommend you to have one and only one goal for every single drip campaign, as you would have for an email newsletter. That means you send out a drip campaign to achieve one, well-defined goal. All drip campaigns share a goal: qualify leads and push them “deeper” in the funnel. Therefore every drip campaign has a conversion rate too. Drip campaign conversions allow you to track the key milestones you want your subscribers to achieve. You set up a drip campaign with 3 emails offering your free trial. In this case, you will have a conversion rate for each email. Naturally, when a lead achieves the goal he won’t receive the next emails. Measuring the conversion of your email drip campaign helps you decide on how many emails you should send. If contacts achieve your campaign’s goal from the first or second email, that means you managed to convert people. Most importantly, keeping an eye on the conversion of each email of the drip sequences helps you understand what kind of emails convert the most. The overall conversion rate of your drip campaigns will be comparable. But only if your drip campaigns have the same goal! If conversion rate over time is the micro-conversion of each email of the drip campaign, your end-to-end conversion is the macro-conversion of your drip campaign as a whole. Every drip campaign has a level that represents the leads’ stage in the customer journey. As you probably have more drip campaigns, you create email workflows for leads who are at different stages of the customer journey. As a result, you will be able to create a “funnel view” which shows you the different conversion rates between stages. Every stage of the funnel consists of drip campaigns, filled with content types that are relevant to each decision stages. Discover the behavior-flow of your leads between the different drip campaigns and find patterns in the behavior to refine buyer journeys. Have end-to-end conversion rate for the different buyer journeys. The end-to-end conversion rate is one of the most important KPI examples that can be tracked and a must-have if you want to calculate the real ROI of your campaigns. Time to customer conversion is the average length of closing a deal. This will allow you to calculate the necessary time to convert a specific buyer persona that is in a defined stage of the sales funnel. With marketing automation, you can continuously lower the necessary time by tracking this KPI and experimenting with your contents. Contact generation over time is the number of contacts generated through a defined period of time, for a drip campaign. This metric gives you information about your lead generation performance. Even though it seems really easy to track, yet, it is important. You can track how your landing page or contact form performs on a timeline. 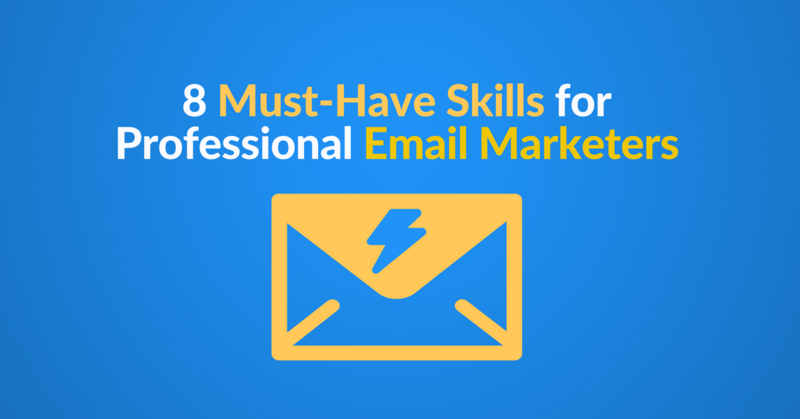 You have an email course that is free and the goal is to educate your prospects. It is a common use case of drip campaigns. You set up your email course in a 5-email series and created a landing page on Unbounce to ask for contact information. You connect the form on the page with your marketing automation software and build your drip. Now you can measure how many contacts arrive at your landing page and how many of them convert into leads and start receiving your drip emails. That is good if you see that the trendline of your lead generation is increasing continuously. But, you need to keep your contacts engaged as well. Engagement level is a merged metric that consists of open and click-through rates. The higher this number the healthier your email list. This metric is also good for identifying bad performing drip campaigns. If you have an engagement level for each, you can sort out the low-performers easily. Contacts’ engagement level is very useful if your drip campaign doesn’t have a very easily trackable goal, such as payment, subscription on a form or starting a trial. If you notice that you have a low engagement rate, you should create a re-engagement email campaign to win back customers. A re-engagement email campaign can be also useful to delete contacts who’ve been inactive for a long duration and did not show any signs of interest in your emails. Unsubscription rate over time is an email KPI metric example that is often misinterpreted. Every email drip campaign has an unsubscription rate, and the number of unsubscribers divided by the number of email subscribers. This metric can show you which messages need to be sent another time. For example sales messages are sent too soon, or which information is not good enough for leads at a specific stage of the funnel. Unsubscription rate is an important metric that you should interpret in the right context. It is possible that the messages you crafted for a specific drip campaign are good, but the segment is completely wrong. Which leads to high unsubscribe rates. Another use case, if your unsubscription metric won’t show you the health of your list. That means your leads simply stop to open your emails without unsubscribing from your list. For that, always check the engagement level of your contacts on your drip campaigns at the same time you check the unsubscription rates. Drip email campaigns cover multiple marketing strategies to achieve specific results via a set of triggered emails. Coming up are use cases where drip campaigns come in handy. Cases in which you can automate the entire email series for converting leads into paying customers, educating your prospects, sharing information and updates with your customers, etc. Here are 9 cases where drip email campaigns come in handy. There are more drip campaign examples you can set up for your business depending on what you want to achieve with your campaigns. Some marketers refer to leads as babies: “Some leads are just like babies, most of the times they’re uncertain about what they want”. Drip campaigns can help you guide your leads into your sales funnel and show them how to use your product. The key to making the ideal drip is to customize it according to your industry and business needs. This way you will be able to optimize it based on your target audience needs and behavior. 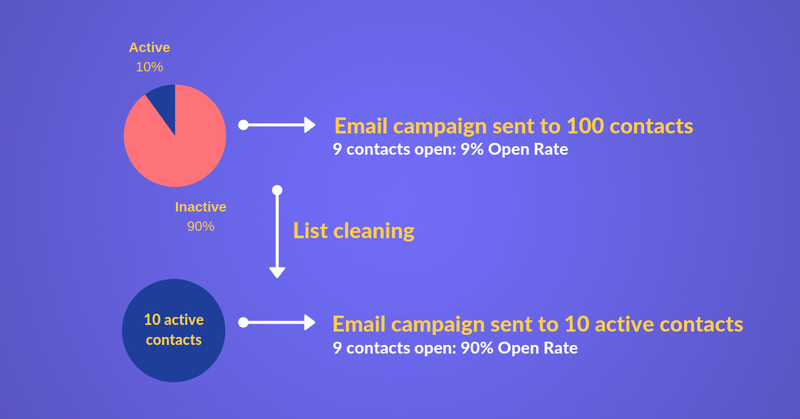 Let’s have a quick overview of email drip campaigns for different industries. A/B testing your email drip campaigns help you get the maximum results of your existing contacts. Use A/B testing to identify the better performing email. Identifying your best performing email drip campaign has a big effect on your campaigns’ ROI. Sending frequency of the follow-up emails in a given period of time. A good tip to increase your email open rates is to A/B test your drip email subject line. You send 20% of your contacts 2 different subject lines for the same email during a specific period of testing. And the better performing subject line will be sent to the rest 80% of contacts to guarantee you reach the highest email open rate possible. Here is how to A/B test your subject lines in drip email marketing software. An A/B test measures the engagement for different subject lines, in order to send the best performing one to your contacts. A key to making the ideal drip is to customize it according to your industry and business needs. This way you will be able to optimize it based on your target audience needs and behavior. Let’s have a quick overview of email drip campaign ideas for different industries. Do not ask the question if you need drip campaigns or not because the answer has to be “Yes” if you want to reach your business’s full potential. Let’s dig a little deeper for drip campaigns by industry before we jump into the examples. Drip campaigns help bloggers drive users back to the website and promote their content on autopilot while they focus on doing what they do best, creating content. For the SaaS industry, what matters the most is building great software and converting leads into customers. Automated drip campaigns can do just that for you. PS: If you’re SaaS is still a startup and you have limited human resources, drip campaigns are the perfect match to automate your campaigns and save some of your valuable work time. For eCommerce and online shopping, the average conversion rate is 2% according to BigCommerce. And what to do with the remaining website visitors? Online lead generation can be a gateway to capture your visitors’ emails and reach out to them via triggered emails to promote your sales and products. According to Baymard, the average cart abandonment rate is 69.89%. Shocking isn’t? Abandoned cart drip emails are sent to customers who have added products to their cart but failed to check out. It’s remarkably effective as a sales recovery tactic. According to SaleCycle, nearly half of all abandoned cart emails are opened and over a third of clicks lead to purchases back on site. You have to understand that customers often abandon their carts without meaning to do so, for example, because the website crashed, the process was complicated, or simply because their baby started crying. Drip campaigns work perfectly as a customer reminder of what they left behind and what to do next in order to complete their purchase. Real estate drip campaigns are one of the most important tools used in converting web site visitors to clients and commissions. It supports your communication strategy and helps you create personalized and scheduled relationship-building emails. Email automation works as a CRM tool that understands your contacts’ data and interests, which empowers you to create laser-focused email content. Drip email is a varied approach that will surely enhance your business, save you time and allow you to focus on closing more deals. Let’s have a look at 9 drip campaign best practices. Use welcome email to make a great first impression. You can set a trigger for the welcome email to be sent when a new user sign ups for your product/service or subscribers your newsletter. Welcome emails can introduce you and your business, provide special offers, or just a friendly welcome aboard to lay the foundation of a good relationship with a new user. Here is an example of an automated welcome email that explains the benefits of using the platform from RocketBots. OptinMonster provides smart lead capture forms to convert more visitors into subscribers. In order to upgrade free trial users to paid, they used the following Cart Abandonment email sequence. The second email of the drip campaign is automatically sent a day after the user tried to upgrade to a paid account. In the email copy, They ask “Is everything ok?” to make sure that everything is good from their side while inviting users to complete the order. In the sentence before the call-to-action they provide their main value proposition to make the user take action. The last email of this automated drip campaign example is more informative on the user account status (based on their interaction with the software). They inform how they will treat it in 24 hours. I think this was an “Unmatch moment” for OptinMonster. Even though its an account deletion note, the email still include two links and call-to-action copy to activate the account. One last chance to acquire an abandoning OptinMonster user. When someone subscribes to your newsletter, you want to welcome them with an intriguing thank you note for subscribing. Offering a coupon code is a good reason for your new subscribers to take quick action and make a purchase. Or maybe they even forgot something in the oven while placing their order. When a user abandons the cart, it doesn’t mean you lost him/her forever. You still can recover your lost sales with email marketing drip campaigns and bring back your lost revenue. A clean and simple cart abandonment automated drip email example from Google Express with dynamic sections that pull in your items. Great CTA letting you know how easy it is to complete that last step of checking out. Another stunning cart abandonment automated drip campaign comes from Asics. Interesting layout, I’ve rarely seen a cart abandonment email like this before. After attracting website visitors and customers to opt-in to your email list, you can send emails that are specific to different niches. Consider segmenting your list into smaller groups based on behavior, purchase records, popular destinations, or location. By segmenting your list, you can craft hyper-personalized drip emails that offer relevant travel ideas and incentives that encourage travelers to take action. This can be one way to set up your first basic automated drip campaign for a transportation business. She opens with a welcome email, where she offers a free trial to get people excited about the product. After that, she gives free information based on the interests of the target group. Besides the free tips, she uses scarcity and urgency in her email sequence by using a temporary discount on her product. Kayla is building her sales pitch up from the first email of the drip sequence. You can see that the discount banner moved from the bottom of the email in the first 2 examples to the top of the email in the following third email of her automated drip sequence. The last email’s subject line: 12 hours left, one time only special offer! With a countdown, Kayla is creating a sense of urgency for her subscribers to make a purchase. This welcome campaign is smartly designed so leads pass smoothly through the sales funnel. This automated email drip sequence has a pretty good chance of closing the sales. Why sit on a laptop communicating your event’s details to your attendees when the whole process can be on autopilot with one automated email drip campaign? In this email drip campaign example, HubSpot informs their contacts about the live-event “Grow with Hubspot”, that will take place in Amsterdam. The first email of the automated drip sequence is a thank you email that is sent to visitors who fill in the form and show interest toward the event. The second email is split into three sections to explain best the event details and answer the frequently asked questions. This improves readability by providing structure. Short sections make the content look inviting, whereas long paragraphs can discourage people from even starting to read. The third email of this event drip campaign example is sent one day before the event. Works perfectly as a reminder, and it is a great opportunity to deliver further information regarding the event like the agenda, event venue, etc. Compass, a real estate business, thought about the first email of their automated drip sequence in this way. Classy and clear about what action they want their contacts to take. Based on the contact engagement with the email, the next emails can be more personalized. Another automated email of the drip campaign is sent to contacts who are looking for a home and already submitted their preferences at the search listing from the previous email. Compass has a really smooth drip email campaign that works perfectly as a CRM. PS: Strictly speaking, this real estate example is more of an automated email campaign rather than a drip campaign. I made sure to go through it for the sake of learning for those interested in setting up email drip campaigns for real estate businesses. Very unique looking automotive drip email that’s well designed and laid out. Sent a couple of days after the welcome email. With a highlight on the financial benefits, the overall email does a good job as a part of an automotive drip campaign. Whichever industry you’re in, automated email marketing drip campaigns help you nurture your leads, increase sales and maintain high customers’ engagement, all while saving your precious business time. Drip campaigns are just one part of embracing the power of email marketing automation. Want to go to the next level? Here are 10 automated email marketing campaign examples, look at them on depth in order to scale your business and stay ahead of the competition. 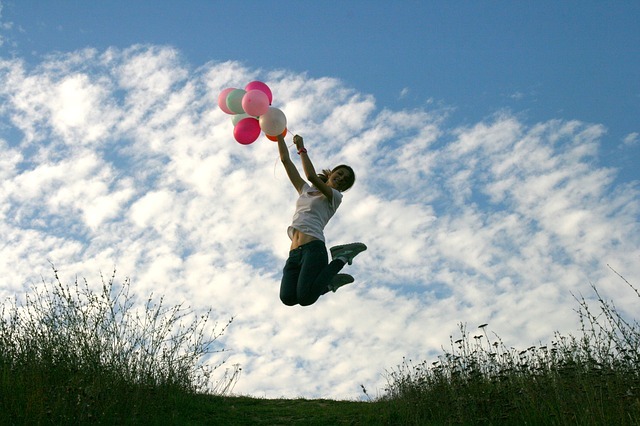 Thanks for the article, it was also exciting and inspiring to read about drip email campaigns. Meanwhile, even I had made similar ideas as I handle email campaigns for my organization. I will give a thought regarding this. My pleasure, I’m glad you like our content and that it inspired you to create something similar for your company. Thanks for the kind words and let me know if we can help you with anything. Thanks for sharing the examples. With the different types of drip campaigns that can be set up including customer upsell, cross-sell, user onboarding, lead nurturing, increase free to paid conversion, build a sales pitch, etc, we’re currently focusing on user onboarding. Because that’s the first spot where newly joined users/members may drop off the funnel, and we’ve a tool to deal with the potential issue for web application marketers or owners.